Heed the call! Rise up and armour yourself with swiftness. The neighboring kingdom has broken the truce and invaded our border. 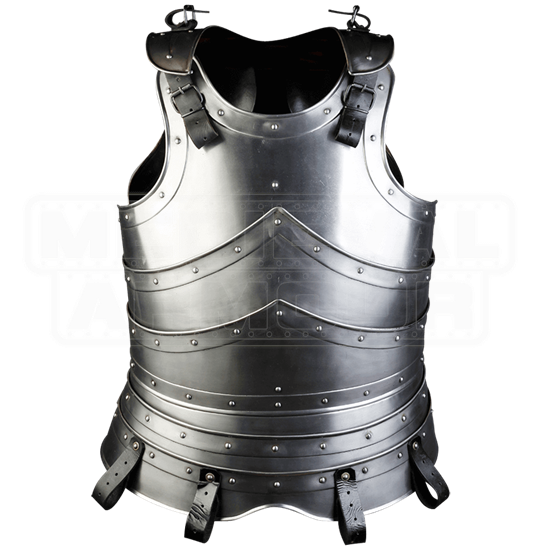 Ready yourself for battle and cover your torso in the solid protection of the Edward Steel Cuirass. This medieval body armour is perfect for LARP activities whether saving the kingdom or training with a comrade. Rivets decorate the defined edges in a stunning traditional style. 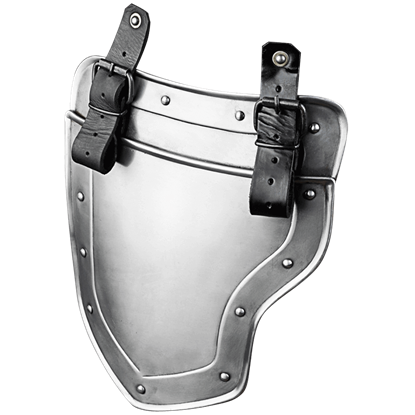 Fit this excellent chest piece over your padding and chainmail for reinforced defense. 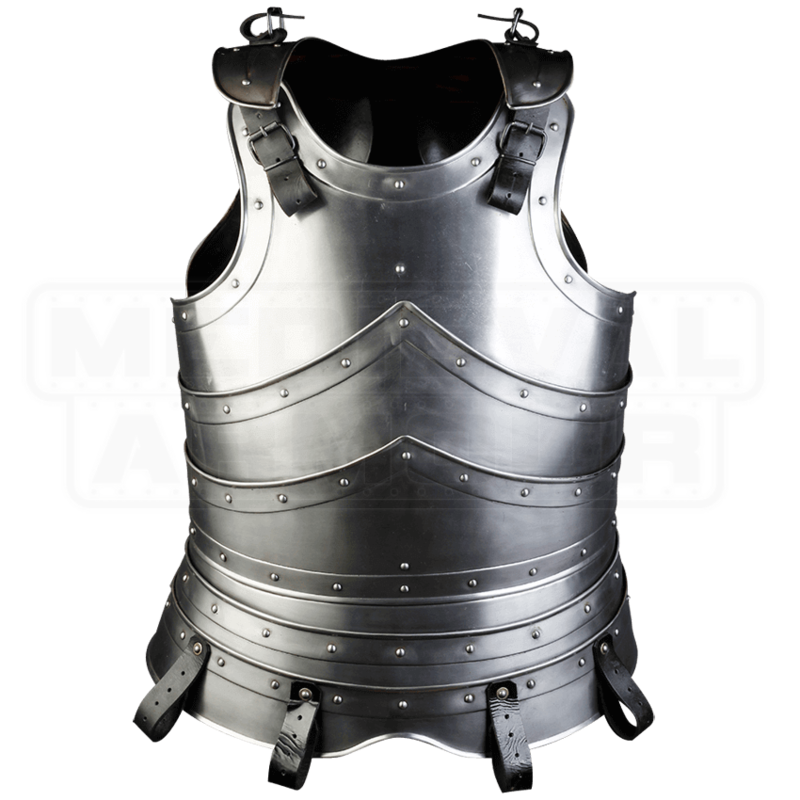 Please note, this cuirass features handcrafted fabrication, as a result rivet placement and other characteristics are unique to each piece. The evil scheme of a power-hungry sorcerer has gotten out of hand. All warring kingdoms must form a truce and join forces to vanquish the darkness. Be properly defended and shield your upper legs with the Edward Steel Tassets. 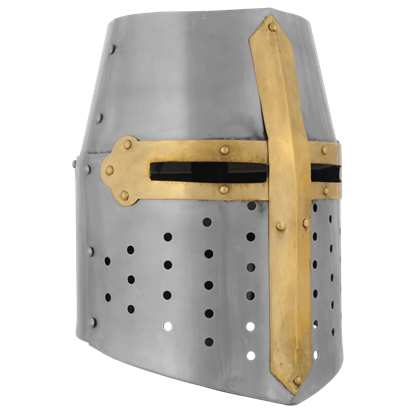 No helmet rings truer as a classic knights helm then this Crusader Great Helmet. This helmet remained a protector of warriors for a reason, and that was primarily the high degree of protection that this helmet offered to its wearer.